Couples can take their wine out to a deck and onto the grounds at Pomona Winery. 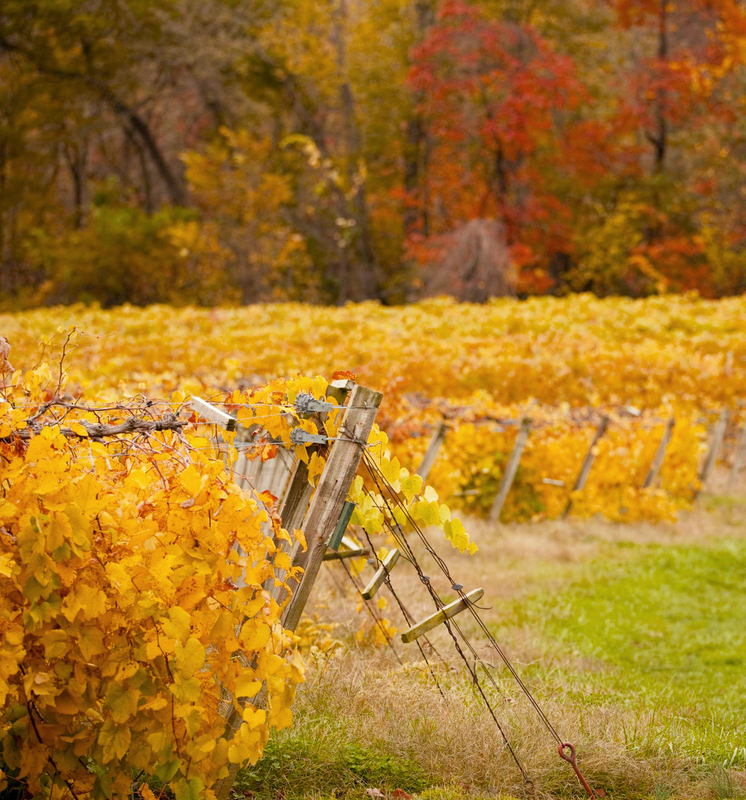 Anne, who’s toured California’s Napa and Sonoma valley vineyards, slowly shakes her head. “Even after a few seconds, it’s still buttery,” she says in amazement. Becky just smiles and continues the taste tour of 10 wines at Pomona, one of 11 wineries on the hilly, wooded Shawnee Hills Wine Trail (110 miles southeast of St. Louis). She pours a sample of Orchard Harvest, which she likes to add to chicken noodle soup. The Orchard Spice is like apple pie in a glass, and it’s great in white chicken chili, she says. She also drizzles the strawberry dessert wine on fruit salads and into brownie batter. Seth Blickhan, sales manager at nearby Alto Vineyards, shares cooking ideas during tastings, too. A Spanish-style sangria warming in a slow cooker makes a house smell like Christmas, and Alto’s dark red Norton has a mint finish that pairs beautifully with lamb chops. Cooked down, cherry wines make an amazing pork chop braising liquid, and the Chancellor spikes burgers ready for the grill. 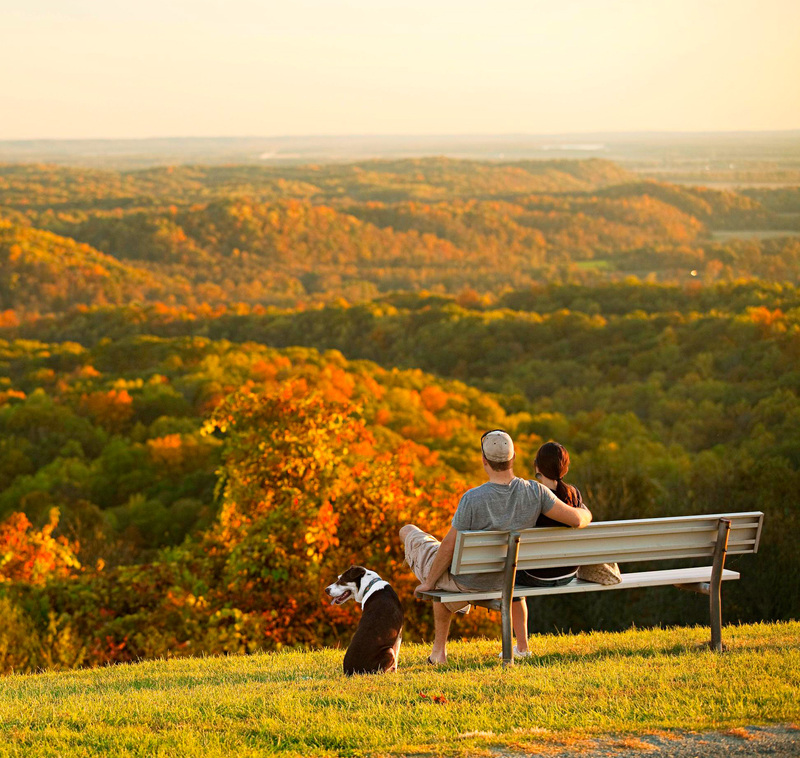 Spend even just a little time among these family-owned wineries nestled in Shawnee National Forest, and you’ll feel a welcome tug: Do you go home with bottles of wine in tow and start cooking, or do you linger with a glass and watch the sun set over a vista stretching more than 35 miles? 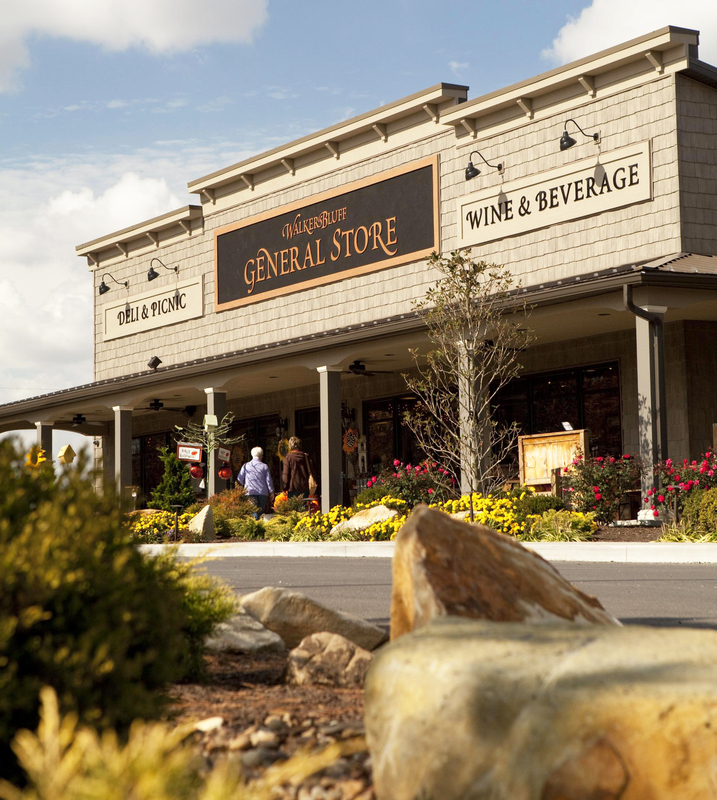 Most people stay on the trail awhile, because these little towns—not a stoplight among them—along the Shawnee Hills Wine Trail offer enough to fill several days. Fresh-picked apples fill baskets at Rendleman Orchards’ Farm Market, and apple dumplings tempt at Flamm Orchards. 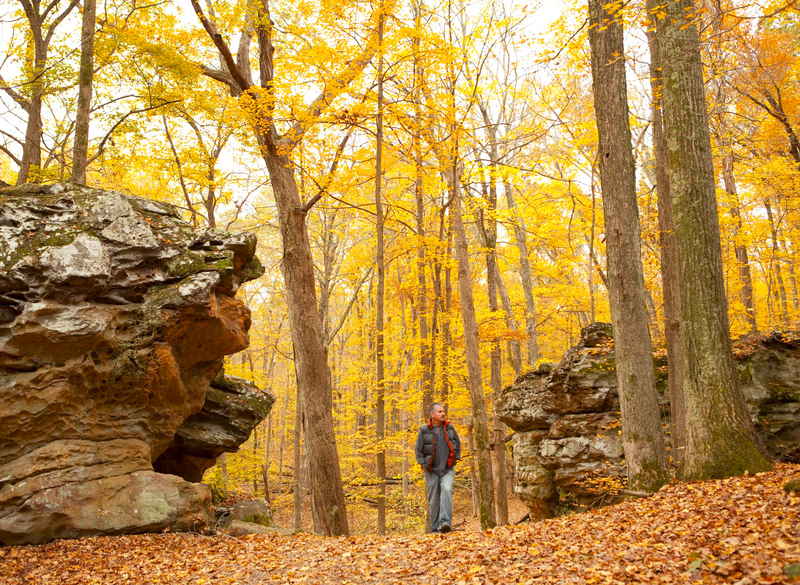 Walking trails around Cedar Lake cross creek shallows; hilly hikes through Little Grand Canyon and Giant City State Park shred stereotypes about Illinois’ landscape. Dozens of bed-and-breakfasts and cabins burrow in the hills, and the wineries reveal personalities all their own—not to mention a mix of sweet and dry varieties reflecting the region’s deepening understanding of wine making. Jo and Rich Crackel of Mattoon, Illinois, used to live in Napa—“before it became commercialized”—and their quest for interesting dry Cabs and Chardonnays spurred this first trip to southern Illinois. But the area’s quiet beauty and empty country roads will keep bringing them back. Fall color in southern Illinois. 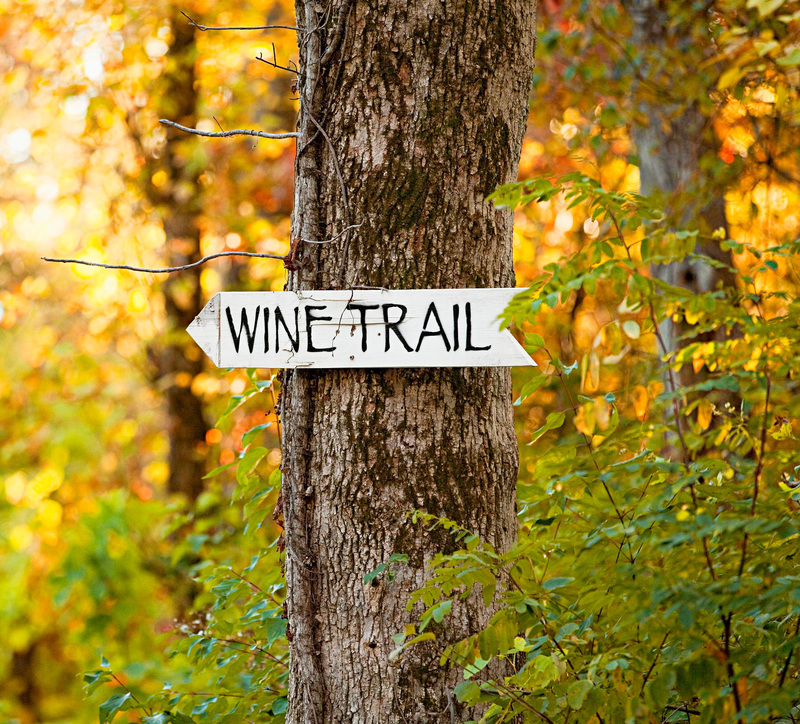 Start by visiting the Shawnee Hills Wine Trail website and downloading a map of the wineries (shawneewinetrail.com). A GPS will help, but the route has good signage. The area stretches about 30 miles across, but because of all of the backroads, 4 miles can take 20 minutes. 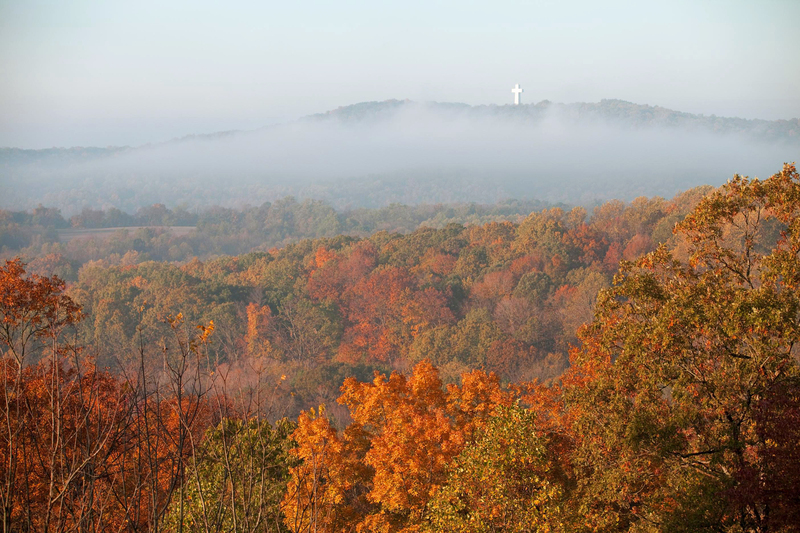 The 111-foot-tall Bald Knob Cross of Peace stands across the valley from a lookout point in Alto Pass. 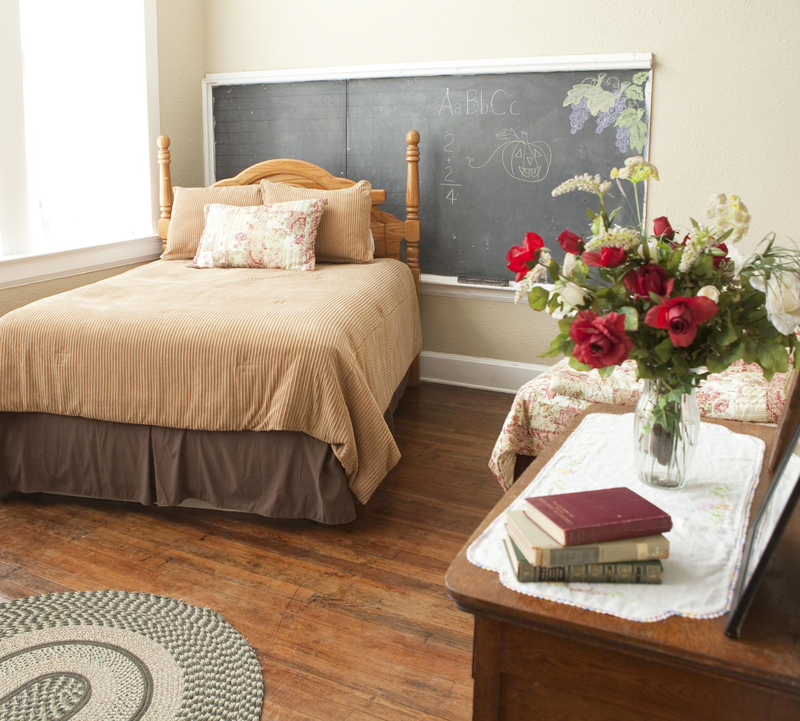 The Davie School Inn in Anna. A quick walk around Cedar Lake or a ride in a rented motorboat along Little Grassy Lake offers a quiet start to the day. 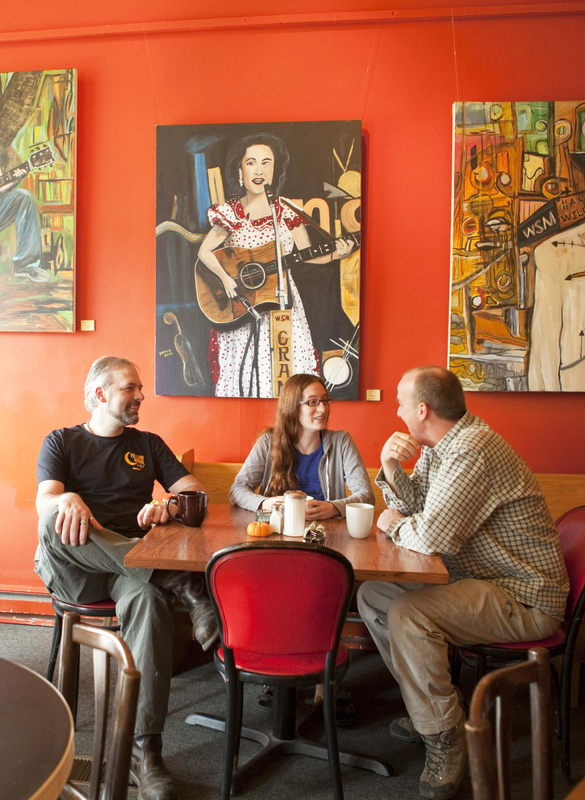 Yellow Moon Cafe in Cobden. Giant City State Park near Makanda. The General Store at Walker's Bluff.